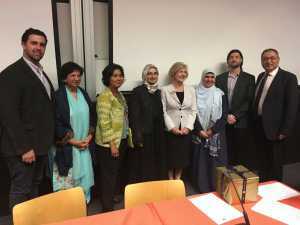 In conjunction with Sydney Ideas, the Australian Association of Islamic and Muslim Studies launched at the University of Sydney last Friday 28th 2017. Emeritus Professor Gillian Triggs, President of the Australian Human Rights Commission and Professor Samina Yasmeen from the University of Western Australia spoke to a full house on the topic of Human Rights and the Rise of Islamophobia. 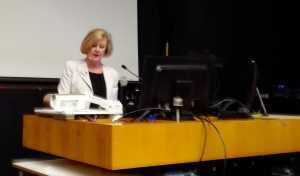 Professor Triggs spoke at length concerning the abhorrent human rights abuses faced by refugees in Nauru and Villawood. 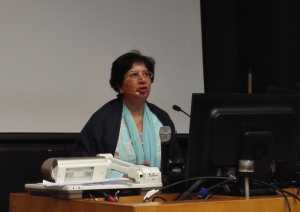 She further explored the increase in levels of prejudice and discrimination experienced by Australia’s Muslim community. The study by the University of Western Sydney found racial prejudice against Muslims to be three times that of all other Australians. The right to freedom of speech is sensibly balanced by the prohibition on public abuse on racial grounds, and it has been administered and applied by the Federal Court and the Federal Circuit Court in a sensible manner. Professor Yasmeen spoke of the challenges ahead for a diverse Muslim community. Challenges from within and outside the community will need to be addressed in creative and proactive ways, she mused. Human rights are about a basic three aspects of our lives. One is simple, the right to life. The second is the right to liberty. The liberty to do what we want to do in a way we want to feel comfortable without compromising the rights of others. And, of course, respect. Professor Shahram Akbarzadeh, interim President of AAIMS, thanked Prof Triggs and Prof Yasmeen for their contribution to the launch of AAIMS. He emphasised the importance of cross-institutional collaboration for the advancement of knowledge and expertise in Islamic studies.